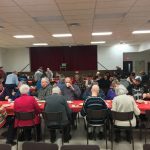 BELLEVILLE – More than 50 people gathered at the Eastminster United Church for pancakes on Shrove Tuesday. Shrove Tuesday is the day before Ash Wednesday which is the beginning of Lent. Lent is the 40 day period before Easter in the Christian calendar. Many Christians fast as part of Lent. 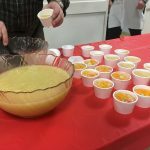 Shrove Tuesday is a celebration to eat plenty of food before trying to break a habit during the weeks upcoming Easter. 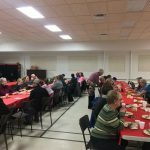 At the Eastminster Church in downtown Belleville, people of all ages came to join in on the fellowship of eating sticky pancakes with close friends. “Shrove Tuesday is about the people. 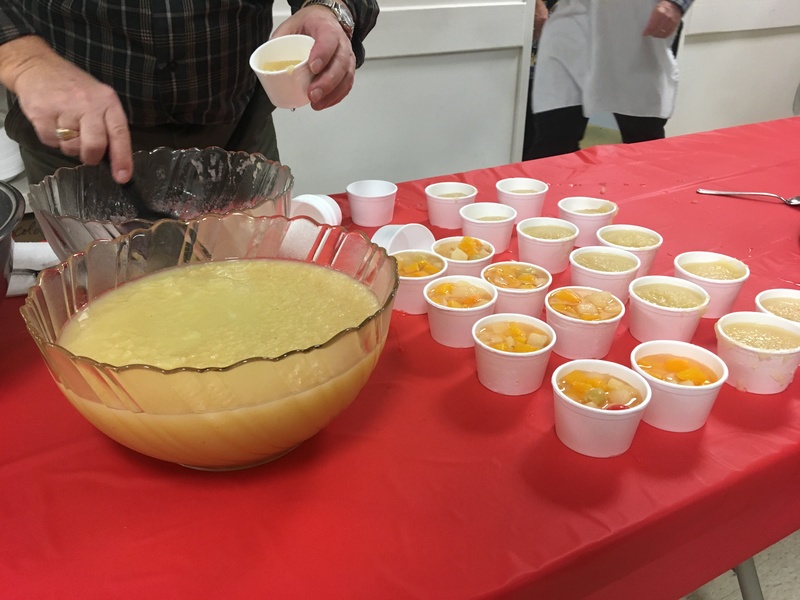 The new people, the old people, it’s communion, and it’s great food,” said Amy-Beth Dawson, a baker at Panera Bread who attended the event. The money received from this event is put into the As One That Serves (A.O.T.S) account, and goes out to charities throughout the year. A.O.T.S. 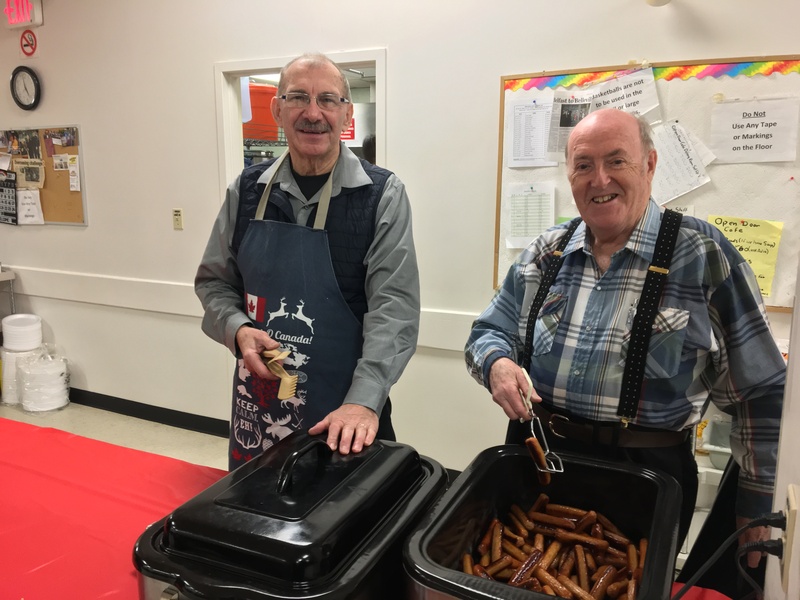 is a men’s club in the United Church of Canada. 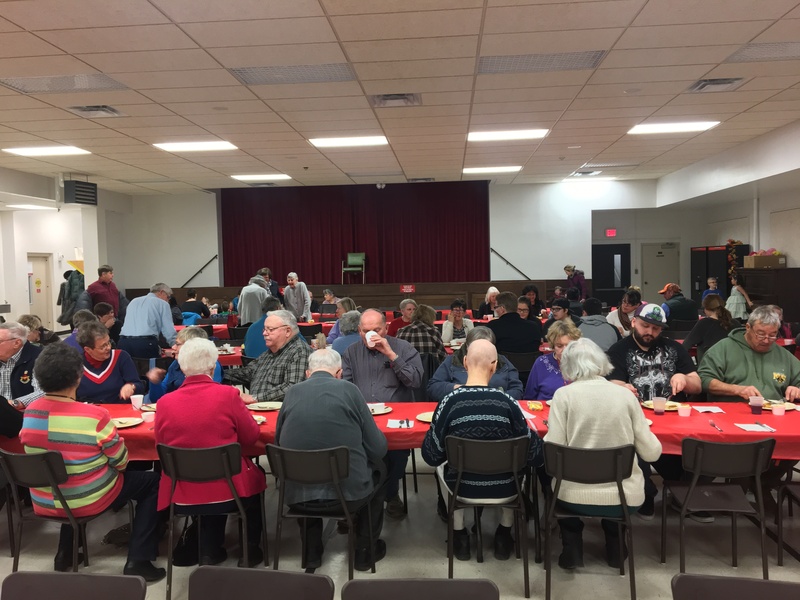 These charities are Heart and Stroke Foundation, the Salvation Army, the Eastminster Church and more. The A.O.T.S. also tries to send kids to camp every year. Darlene Cliff also attended the event. Garnet Thompson, city of Belleville councillor, is responsible for this event. Thompson used to be national president of the A.O.T.S. for a number of years. 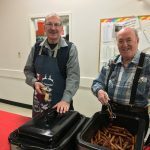 Thompson has been serving pancakes on Shrove Tuesday at the Eastminster Church for more than 20 years. 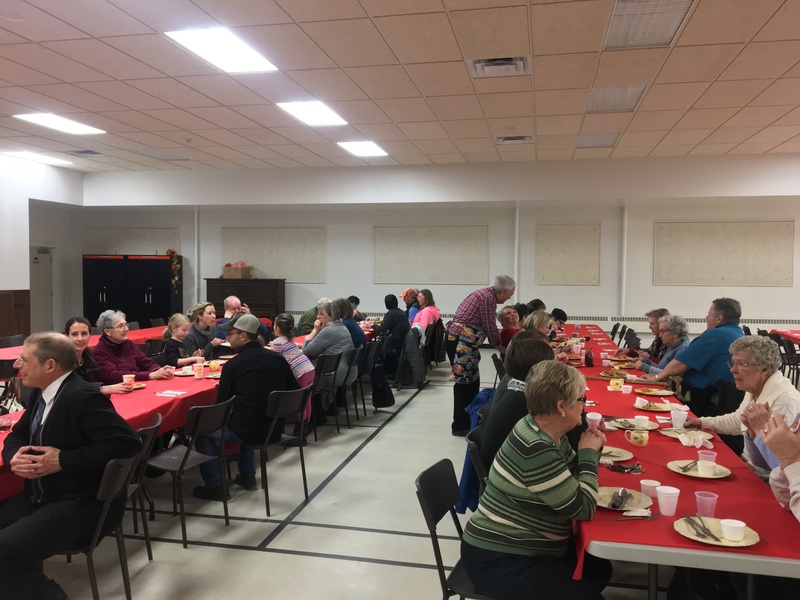 “It’s a good organization, and it brings people together for a meal,” said Thompson. The next event by the A.O.T.S. will be the Strawberry Social happening in the end of June. More information can be found here.